A collection of short fiction from the late famed intellectual Susan Sontag. Sontag the personality has grown so large in death that it threatens to eclipse her work: She is remembered as a narcissist, a pugilist, the enemy of Camille Paglia, and a genius. This new collection may not offer anything strictly new, but it does allow us examine a side of Sontag that is often obscured by those two pillars of her legacy ... Not all of it [her fiction] is excellent, but it is all stylish ... The writing in Debriefing is never less than viciously good. But the quality of the stories’ ideas varies wildly. The care with which Sontag interrogates the desires and fears animating these stories distinguishes the good ones from the bad. 'The Way We Live Now' tests the story form in a way that leads into the emotional heart of living in a plagued community ... What do we learn about great intellectual Susan Sontag from reading these stories? In Debriefing we see a writer who was confident enough, and knew herself well enough, to try and try again, and develop when she failed. There are stories in this book that aren’t worth reading at all, but they have been gathered together because 'Susan Sontag'—the posthumous cartoon version of the person—is big enough to demand it. But in this book there are also are moments of real certainty, even truth. As with every type of Sontag’s writing, you should expect value rather than consistency. Debriefing contains passages that will likely become fodder for those determined to dismiss Sontag’s novels and stories. Pedantic abstractions, overworked sentences, lines of dialogue robbed of force by their tags: Pervasive here is evidence of John Wain’s claim that Sontag wrote a 'translator’s English.' 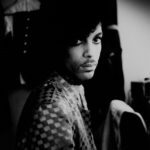 But Debriefing also contains enough stirring insights, enough moments of intensity and wit and percipience, to merit a reexamination of Sontag’s fiction. The fact that the strongest stories here are those that read least like stories proper—that, indeed, read like essays—may compel us to reexamine, too, the utility in separating fiction from criticism in the first place ... There’s little formal or thematic consistency to this collection: Each story feels like a fresh experiment, another stab (sometimes in the dark) at narrative technique. 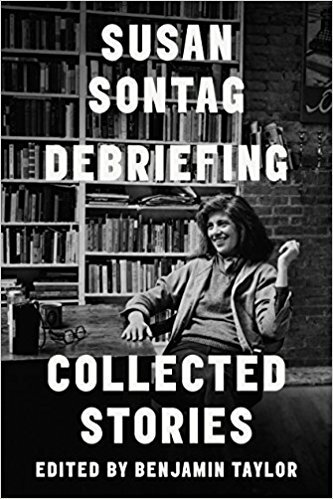 Nevertheless, the book presents an illuminating record of the ideas that preoccupied Sontag throughout her career ... the worst entries in Debriefing are precisely those in which Sontag constrains herself to mere storytelling. The best are those in which she grants herself the full run of her mind. Her four novels split into two phases: a pair of experimental works of the ’60s (The Benefactor and Death Kit) more concerned with portraying consciousness than storytelling; and a couple of relatively conventional historical novels from the ’90s. The stories in Debriefing fit between these phases, and while I hesitate to call them essential, they are full of optional delights ... In Debriefing, the form proves supremely flexible: memoir, diary, allegory, documentary, and even science fiction are all present ... Several stories in Debriefing partake of the currents of experimental fiction that were going strong in the 1960s and ’70s...Any of these stories could fit neatly in anthology of the period. Without bylines, you wouldn’t necessarily peg them to Susan Sontag, but you can hear their echoes all around today, in the fiction of Lydia Davis and Lynne Tillman and Deb Olin Unferth, and they’ll keep ringing as long there are those for whom received forms and straitened ways of being a writer are never enough. What did you think of Debriefing: Collected Stories?